Our Gymnastics Centre was created by the unbeaten coach Mrs Irina A. Viner-Usmanova and bears her name. Irina A. Viner-Usmanova is now the President of the Russian Rhythmic Gymnastics Federation, Head Coach of the National R. G. Team, Hero of Labour of the Russian Federation, Prof. Dr. of Pedagogical Sciences and one of the most respected persons in world sport. Modern rhythmic gymnastics is being promoted under the influence of her personality and among her gymnasts are Champions and Medalists of 6 Olympiads! Rhythmic gymnastics is the only Olympic sport that was born in Russia. For 80 years of its existence it has gained worldwide recognition and lots of fans, being one of the most spectacular and beautiful forms of physical culture. Rhythmic gymnastics represent execution of complex gymnastic and dance movements using various apparatus, i.e. hoops, ribbons, clubs, balls or ropes (rarely without apparatus), accompanied by music. In 2015, in addition to women's rhythmic gymnastics, the Russian Sport Ministry also officially registered a new sport of men's rhythmic gymnastics. Doing gymnastics, your child will have the opportunity of harmonized growth. Physical exercises increase flexibility, stretching, improve coordination, sense of rhythm and develop muscular strength. 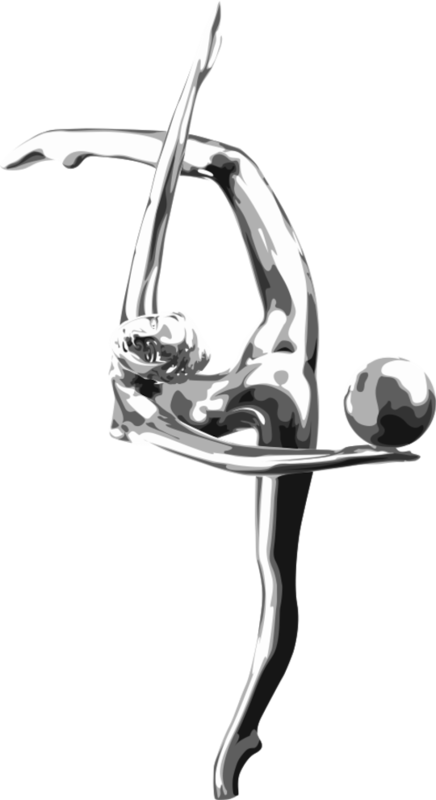 Health, beautiful shapes, stately bearing and grace are pleasant results of rhythmic gymnastics trainings for girls. Men’s gymnastics and give an athlete healthy development, improve endurance and coordination. Gymnastics trainings are also good for children’s psychological development, physical education, workout and strengthening willpower, increase of self-confidence, improvement of teamwork skills, socializing and discipline. Coach, Hon. Master of Sport of the Russian Federation, Youth Olympic Champion (2010), World Champion (2011), Silver Medalist of European Championship (2012), Winner of the World Universiade (2013). Rightfully recognized as one of the most beautiful, elegant and graceful sports, rhythmic gymnastics is also a high performance sport in the Olympic Program since 1984 Olympic Games in Los Angeles, USA. Since 2000, the Olympic Pedestal in individual and group exercises has been consistently won by Russian gymnasts only. Since Irina A. Usmanova became the Head Coach of the Russian National R. G. Team, Russia won 5 Olympic Titles in group exercises, including the recent Olympic Games in Rio! The names of her gymnasts are well-known to the entire Planet: Alina Kabaeva, Olympic Champion; Evgenia Kanaeva, the only one two-time Olympic Champion in Individual All-Around in the history of the sport; Yulia Barsukova, Olympic Champion; as well as such Olympic Medal Winners as Irina Chaschina, Yana Batyrshina and Daria Dmitrieva. Another one unforgettable victory of her gymnasts was recently inscribed in the history of the sport: Margarita Mamun became the Olympic Champion in Rio ‘2016 and 13-time World R. G. Champion Yana Kudryavtseva won her Olympic Silver Medal.